We are excited to enter the Southeast marketplace and provide brokers an excellent way to expand into Non-QM lending by offering a full service, local branch to support credit and customer service needs. As Non-QM origination volume continues to grow at a robust pace, we are committed to helping the industry continue its upward trajectory with their streamlined guidelines and team support. Those interested in a growth-oriented career with ClearEdge Lending should email John Burns for outside sales positions in GA, FL, NC, SC, TN. 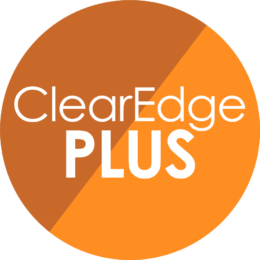 Product Highlight: ClearEdge PLUS, our #1 product for your borrowers who just missed out on conventional/jumbo. WE’RE FASTER. A LOT FASTER. From submission to underwriting in minutes to LE, CD, loan scenario requests and bank statement reviews same day or next day…allowing you to move a lot more loans through your pipeline.